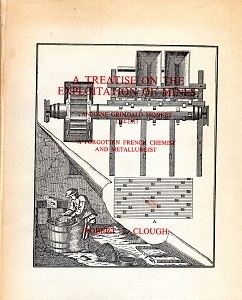 (Only 400 copies, each signed - copy no.326) The book reproduces in facsimile the title page and 24 fine engravings of early mining techniques by the engraver Boutrois, together with relevent notes from Monnet's texts. This book is useful for making comparisons with English Mining techniques of the 18th century. This volume is the first in English to draw attention to the life and work of this Chemist. Antoine Grimoald Monnet, virtually self taught, was born of poor parents in the village of Champeix in 1734. A bibliography of Monnet's works is included.